What an awesome experience working with the PHX Photo Bus! Our guests loved having a photo bus on site at our wedding at The Paseo and the photos were so fun to look at after the wedding! 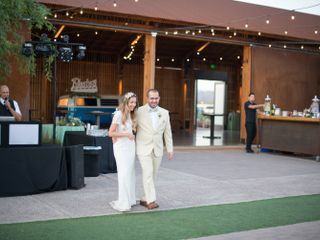 It was the perfect addition to our reception and worked so well with the natural yet rustic theme at The Paseo. We loved how pleasant it was working with Ty and how accommodating he was to our event. 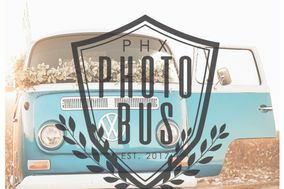 We're so thankful to the PHX Photo Bus for their amazing services! 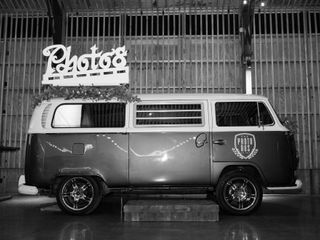 The Phx Photo Bus was absolutely amazing! They were so accommodating and kind. They made sure to be there on time. It was a huge attraction at my wedding. Everyone had such a great time. The photo quality was amazing!!! They made sure to ask for our names so that it could be at the bottom of the photos. I love the fact that our guest had a gift to take home! I will definitely recommend the Phx photo Bus to anyone! Thanks again Phx Photo Bus!!!! We originally booked a photo booth for our wedding day. However, we found this gem during a vendor meet and greet that our venue put together. OMG! We knew we had to have this photo bus instead! 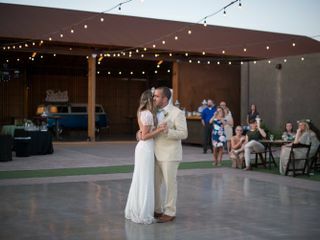 We cancelled our photo booth and booked Phx Photo Bus that same night. Let me tell you, not an ounce of regret was had. This was a game changer and it completely stole the show! Our guests were so impressed with the idea. Unlike the traditional photo booths, you get 2 copies of 4x6 prints of a collage of 4 pictures. After the wedding the company mails you a USB drive with all of the photos. The owner, Ty is a really cool guy very personable. We had a line to get in the bus all night. We all had so much fun with this and I would absolutely recommend it! It may be slightly more expensive than the average photo booth but sooooo worth it. Your wedding will be remembered for years to come! 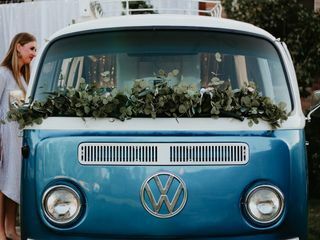 The photo bus was the perfect addition to our wedding! All of our guests loved I️t! And I️t was such a cute piece to add to our night. Worth every penny!! 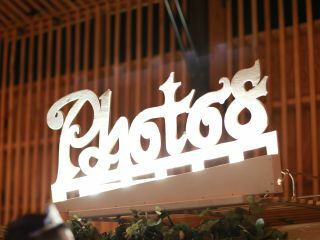 We really enjoyed the atmosphere that the PHX Photo Bus brought to our event. 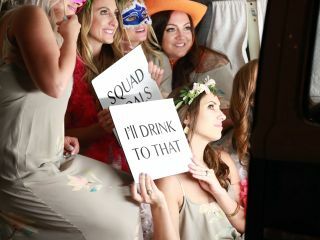 Not only was it lively, interactive and a huge draw to all of the guests, but it was also fun to see everyone use the props and get to excited about the photo bus. In our opinion, an A+++ experience. we will definitely be using them again!